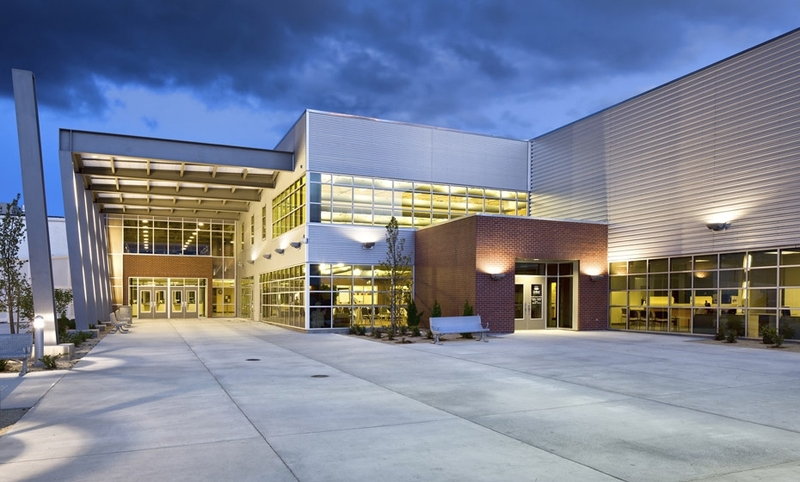 The addition to the Academy of Arts, Careers and Technology is a two-level building that provides multidisciplinary academic and occupational development space for the physical education, agriculture and horticulture, hospitality, pre-engineering, and financial and banking programs. The intermixing of technical academies with core classes and science laboratories promotes collaboration, sharing of resources and facilities and the integration of academic coursework with career-based learning. The resulting setting is a flexible, dynamic, functional, and collaborative space dedicated to achievement. space layout provides independent and functional spaces for each academy, while promoting interest, connectivity, and collaboration among disciplines. The addition also includes several sustainable features. The building is oriented on the site to maximize sun exposure from the south, providing natural day lighting to most of the classrooms. Solar shading structures are employed on the south façade to reduce heat gain and glare and to harvest solar energy. 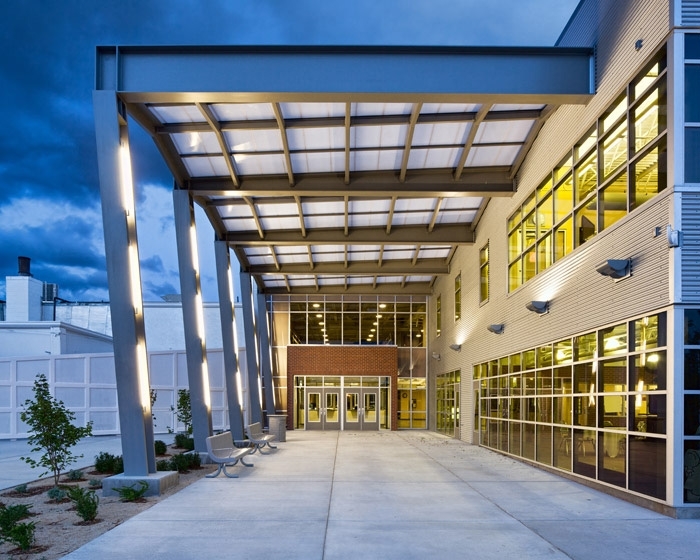 Metering systems are viewable so that the building itself is a learning tool.